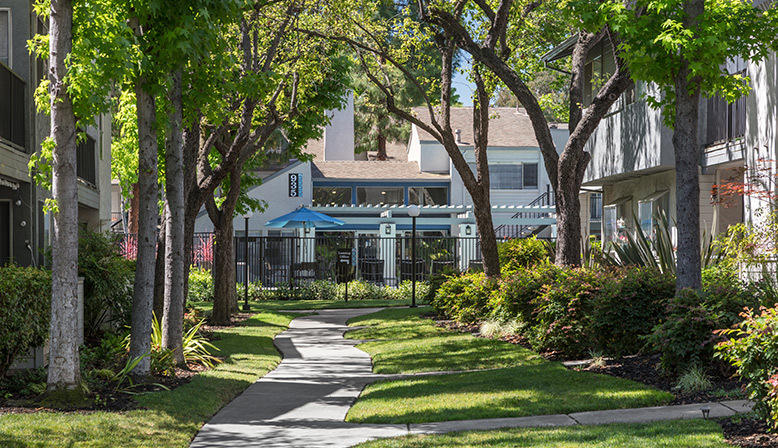 A cozy, wooded neighborhood, Sherman Oaks offers some of the best living in the San Jose area. Ready to make one of these incredible 1 or 2 bedroom Sherman Oaks apartments yours? Give us a call or schedule a tour! Looking for a great 1 or 2 bedroom San Jose apartment? Look no further: you’ll love what Willow Creek has to offer. Located in the beautiful city of San Jose, the Sherman Oaks neighborhood lives up to its name, with cozy streets shaded by oak trees. Commuters looking to reach other parts of the city and the rest of the Bay Area will find nearby access to the I-280 and I-880, as well as light rail access just a few blocks away at Fruitdale Station, which serves the Mountain View-Winchester line. In addition to the excellent 2 and 1 bedroom San Jose apartments at Willow Creek, the area is fantastic for families and students of all ages. Families in particular will be pleased to find Sherman Oaks Elementary School immediately adjacent to Willow Creek, while college students will find San Jose City College in walking distance, just a few blocks away. Del Mar High School is also in walking distance, and parents interested in an alternative learning experience for their youngest children will find the San Jose Montessori School in close proximity as well. Entertainment options in the area include unique venues like the incredible Children’s Discovery Museum of San Jose and the Happy Hollow Park & Zoo. Dining and shopping in the area abound as well. Craving seafood? You’ll love Pacific Catch and the Poke House. Shoppers will find staples like Safeway, Crate & Barrell, and an Apple Store in the extended area. Ready to make a 1 or 2 bedroom Sherman Oaks apartment at Willow Creek your next Bay Area home? You’ll find a number of great amenities in your apartments, like stainless steel appliances, updated kitchens with breakfast bars, designer inspired cabinetry, and much more. Shared facilities include two resort-style pools and spas, a health and fitness center, tennis courts, a BBQ picnic area, and other great features. Give us a call at (833) 827-8767 and we’ll be happy to set up a tour!